What Is The Best Workout For Increased Balance? Balance plays an important role in your routine. Learn what our forum members thought about this as they share their ideas and workouts. Try them out now! TOPIC: What Is The Best Workout For Increased Balance? Whether you're a professional athlete or a steady runner, balance plays a role in your routine. Proper balance training will help you maintain proper balance and safety throughout your future workouts. What is the best workout for increased balance? Be specific. How often should one work on increasing their balance? What are some positive reasons one should work on improving their balance? Do you work on improving your balance? Why or why not? If so, how often? "Core Strength And Balance = Ultimate Performance And Results!" 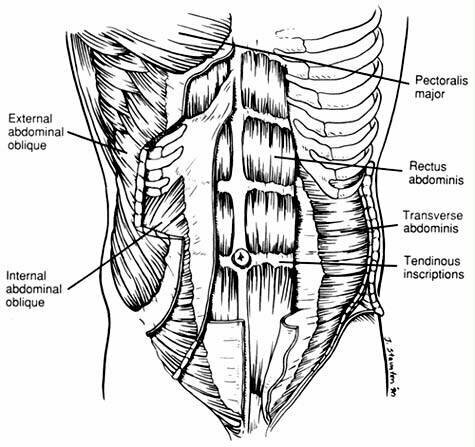 Training the core muscles is vital for athletes, bodybuilders and fitness enthusiasts. 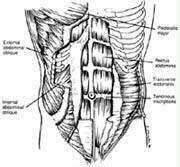 Whether running, lifting or performing upper/lower body activities, power in each movement is generated from the core. Gaining enough core strength increases the stability of the pelvis and spine, which improves balance during athletic and bodybuilding movements. So if you're looking for added performance in sports, bodybuilding, or any activity, read on to learn about balance training. To get the most out of balance training, you need to know what the core muscles consist of, where they are located and how they function. Although there are dozens of different core exercises, I have hand picked the most effective and most popular ones that are proven to improve your balance. I also included step-by-step instructions on the correct way to perform each exercise, along with the muscles they work and the equipment needed. Pilates is a physical fitness system that focuses on developing the body's core muscles, while teaching trainees body awareness. It also helps improve balance, develop good posture, increase strength and flexibility, and create a toned body. If you would like to learn more about Pilates, here's a link to an article I wrote about the Best Pilates Workout. Since Pilates training is a vital component in balance workouts, I have included several Pilates exercises in the workout. Below are step by step instructions on the correct way to perform each exercise, which were taken from my article on the Best Pilates Workout. Lie with your back flat on the floor, and your shoulders down. Point your feet and lengthen your body, leading the stretch with the top of your head. Keep your back flat on the floor, raise both legs, and raise your head off the floor. Make sure you keep your neck neutral and your chin tucked. As you're keeping your arms extended, begin to lift and lower them about two inches from the floor, while inhaling on the lift and exhaling on the lower. Do this for 5 up-and-down beats, and repeat 10 times until you have reached one hundred. Lie on your back with your legs straight, your arms stretched above your head, and your shoulders down. Keeping your back flat on the floor, begin to gradually lift your arms toward the ceiling as you inhale. As you begin exhaling, slowly roll forward, while peeling your spine off the mat. Your head should remain straight, with your eyes focused forward. Keep your stomach tight, not crunched. As you inhale again, stretch out over your legs. Then exhale and slowly roll back down to the floor. Do not pause, but as you inhale, roll up again to begin the second repetition. Do 10 repetitions. Start from a seated position with your abs contracted, and lift your legs to a balanced position with your hands on the floor behind you, pointing forward. Lift your head, extend your spine and stretch your legs away from you, while engaging the abs. Inhale, point your toes and circle the legs toward the left side ten times, then repeat in the opposite direction. 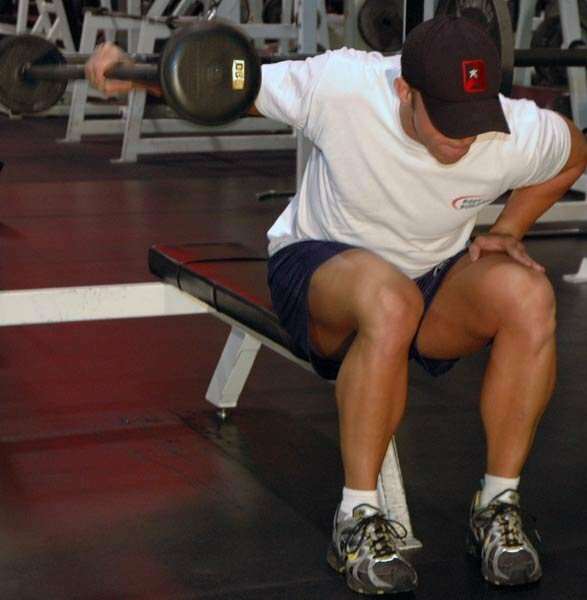 Lower the legs several inches down and circle ten more times on each side. Then lower the legs to about, 6 inches above the floor and repeat ten times on each side again. Lie on your left side, rest your head in your left hand, and steady yourself with your right hand planted firmly on the floor and in front of your chest. Keep your chest broad and open, and do not curl it down toward the floor. Inhale and engage your abs, then raise both legs about twelve inches off the floor as you exhale. Hold for a count of four, then lower them to just above the floor. Inhale and raise again on the exhale. Do this 8 times and repeat on the right side. Sit on ground, lean back; place your forearms and hands flat on ground, elbows under your shoulders, knees bent, toes barely touching the ground and your legs and ankles together. Keep your legs together and maintain a contraction in your abs, then inhale and let your knees drop down to the right, toward the ground. Exhale and straighten your legs on a diagonal, then inhale and bend the knees (also on a diagonal). Exhale, bring the legs back to the center and immediately drop them to the left. Extend on a diagonal and continue to alternate for 8-10 reps.
Cardio exercises can also improve balance, which is why I included them in the workout. Below are descriptions on the correct way to perform them. Below are descriptions on the kicks that can help improve your balance. 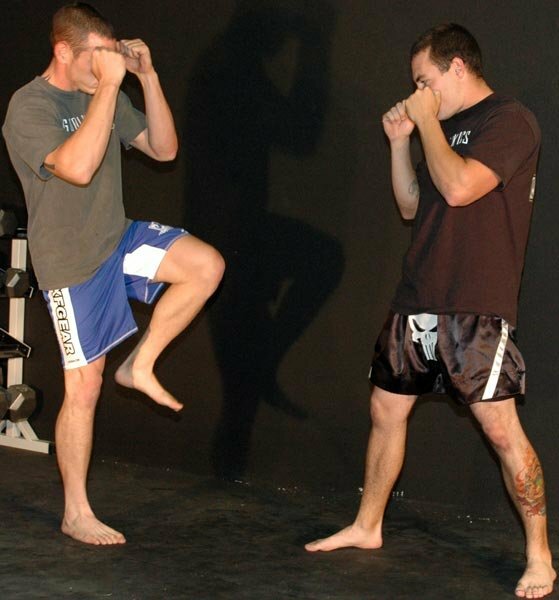 Practice these kicks in the air, on a heavy bag or on a target, the same way as when sparring. Here are some tips that will help improve your balance and make your workouts more enjoyable. Avoid training with thick rigid footwear or any footwear. The foot is made up of 28 muscles that cross into 25 joints, so avoiding footwear allows these muscles to interact with one another through each movement in the foot. By doing that, you can further stimulate the nervous system and improve balance. Train your entire body, on top of the balance exercises, to maintain optimal balance throughout your body. Stretch and warm-up before each workout to decrease the risk of injury. Take a week off from training every 2-to-3 months, to ensure your muscles are fully recovered. Join a gym and/or Pilates studio, to get access to more equipment, and ensure you are training correctly. Find a good training partner, and workout with them. Join the Bodybuilding.com Forums, and find answers to all your questions. Create a BodySpace Account, so you can track your progress, and find people with similar goals from all over the world. Visit the Bodybuilding.com Store, for all your supplement needs, at the lowest prices. Always train with your goals in mind. Each exercise will consist of 3 sets, with the exception of squats and deadlifts, which will consist of 5 sets each. Since there is no need to lift heavy poundages when training to increase balance, rep ranges will be kept high, and will vary between 15-25 reps, depending on the exercise. In between sets, rest 60-90 seconds, to ensure your muscles are fully recovered. Note: In order to maintain proper balance throughout the entire body, it's imperative you train all of your muscles. 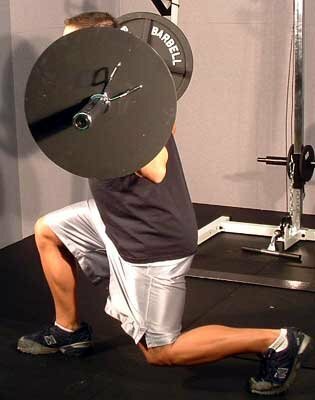 On this day, you will be performing 5 sets of squats, which works the entire body. Then you will be performing 30-60 minutes of cardio. 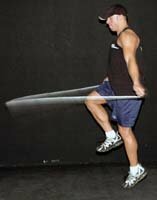 Cardio: Perform either backpedal running, 1-legged and 2-legged jump rope or kickboxing for 30-60 minutes. Note: On this day, you will be performing 5 sets of deadlifts, so you train your entire body. Then you will be performing 30-60 minutes of cardio. Cardio: Perform either backpedal running, one-legged and two-legged jump rope or kickboxing for 30-60 minutes. Whether you're training to increase balance or add 30 pounds of muscle, your diet is crucial to your goals. Follow the guidelines below to maximize performance and results. Trainees should work on increasing their balance year round, by cycling their workouts routines. For example, every 8-12 weeks, one can perform a balancing training workout for 4 weeks. The reason one needs to cycle their workouts, is so the body doesn't adapt to the training and reach a plateau. Variety in your workouts can even accelerate your progress and get you closer to your goals. It can be hard to stay motivated when training to increase balance, so here are some things you can do to stay on the right track. Improvements in balance increase performance in all sports, and almost all activities. With a combination of strength, endurance and balance, an athlete can tremendously excel in their sport. Trainees can increase core strength with balance training, along which assist in full body movements, such as squats and deadlifts. Millions of people around the world suffer from lower back pain or postural deficiencies. The reason is lack of balance and core strength. Workouts that focus on balance can limit injuries and correct posture problems. 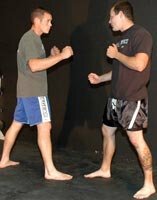 I perform MMA (Mixed Martial Arts) training five days a week, so I have to work on improving my balance. Part of MMA consists of kickboxing, which involves plenty of balance when executing the kicks. However, I don't perform an all balance workout. Instead, I incorporate balance exercises into my workouts every couple of weeks, on top of the MMA training. I highly recommend you try the balance workout, and I can tell you first hand how much it helps in sports performance. Many people don't know the importance of balance training, and how it can effect their performance. So take advantage of this knowledge and apply it to your workouts. You have nothing to lose and many things to gain. Everybody can benefit from developing or improving their balance. Professional athletes and senior citizens alike require balance for the day to day activities. Developing balance takes practice, it doesn't happen overnight. Mastering balance can take years of dedicated training. Since we are all bodybuilders, I'm sure we know all about dedication and hard work. So let's get started. Besides working on our legs with exercises such as squats, leg extensions, leg curls and other strengthening exercises, let's focus on how we can improve our balance more effectively. Weight training can help us develop a sense of balance, but cannot improve our balance to the full extent. Let me show you some great exercises that will help you improve not only your balance, but your flexibility and mobility as well. Here are some simple exercises to increase balance for beginners. Stand behind a chair and close both of your eyes. Slowly lift one leg off the ground and try to keep yourself steady for at least 30 seconds. Do so by bending at the knees only; Make sure that you do not bend at the waist or the hips. Without opening your eyes, switch to the other foot for an additional 30 seconds. The reason why you should stand behind the chair is so you can use it for support if you should fall. Stand behind a chair or a counter and slowly bend one knee up toward the chest area. Do so without bending the waist or hips. Hold this position for ten seconds and then repeat with the other leg. This is a simple exercise that can improve your balance and control. As you get more familiar with this exercise, simple close both your eyes and hold the position for at least 20 seconds. Stand 12-24 inches away from a chair or a counter. Hold on to the chair or the counter with both hands and slowly lift one leg straight backward like you are going to kick a soccer ball but without bending the knee. Hold this position for at least five seconds steadily and slowly lower the leg back down. Continue with the other leg. When you become more familiar with this exercise, do it with only one hand, then one fingertip, then no hands, and then finally with your eyes closed. Stand directly behind a chair or a counter. With one hand holding on to the chair/counter, slowly lift one leg 10-16 inches to the side. Make sure you keep your body completely straight and your feet apart. You do not need to maintain the position so long as you lift the leg 10-16 inches to the side. Do 10 reps with the right leg and then 10 with the left leg. As you become more advanced with this exercise, simply do it with only a finger, then nothing and then close your eyes. Those are simple exercises that can improve balance and control. However, some will say that they are too simple, especially if they have already mastered them or if they are athletes and want more advanced training. Well, here are some more advanced exercises that you can do to improve your balance. Make sure to execute these exercises with good form. Find a small box or a small chair that is 6-10 inches in height. 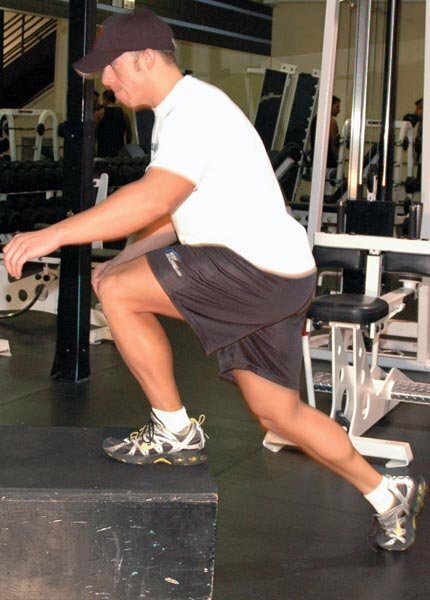 This exercise is called the step-up and is popular in the gym. Step onto the box/chair with your right leg and lift your body up. Now here comes the tricky part. Without letting your left leg touch the surface of the box, dip your body down again until your left leg touches the floor. This movement is similar to the 1-legged squat, but is much easier. 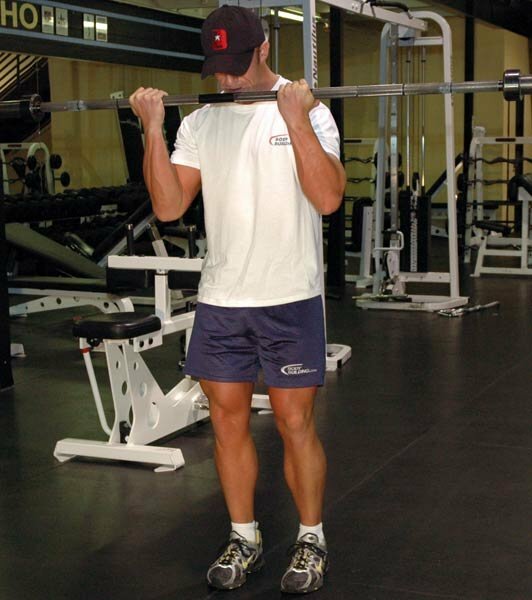 Be careful when doing this exercise because it can cause injury if done incorrectly. Perform this exercise in front of the mirror if you are in doubt of your form. Lower the height of your chair if you are still having problems with this exercise. However, if you think this exercise is too simple, there are three things you can do: 1) Use a higher chair so you can dip down deeper. 2) Hold on to some dumbbells for more resistance. 3) Don't straighten you leg so your muscles stay fully contracted at all times. This exercise is called the 1-legged squat lunge. Stand on the same box as the above exercise and lunge forward about 30 inches with your right leg. 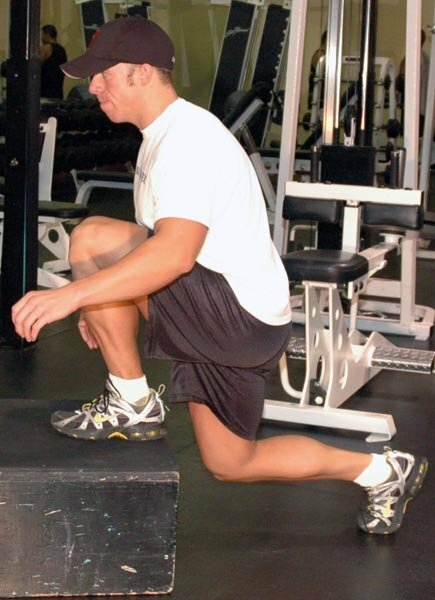 Bend your left knee throughout the movement so that your left calf is parallel to the floor. Try to keep your left knee from touching the floor to develop control. Also, try to keep your entire upper body straight throughout the movement in order to maximize the benefits from this exercise. Execute 15-20 reps for each leg. If you cannot do this exercise with the box, practice without the box first. Make sure you can do at least twenty reps on the floor before you try it with the box. However, if this exercise is too simple, try it without stopping at the top of the movement and pause for a couple of seconds at the bottom of the movement. As your legs start to fatigue, lower the height of the box or simply do this exercise on the floor. This exercise is very hard to perform and you should make sure you can properly execute the top two exercises before trying this one. Stand on your right leg and bend your left knee ninety degrees, making it completely parallel with the floor. While keeping your left knee bent, slowly bend down as low as possible before touching the ground and maintain that position for 2-or-3 seconds. Make sure that your left leg/foot does not touch the floor at the bottom of the movement. Slowly lift yourself up from the floor and continue with your other leg. When you get the feel of this exercise, grab some dumbbells and then try jumping explosively into the air. This exercise strengthens your entire leg, from the calves to the quads. Tip: When doing this exercise, keep you toes and heel on the ground, keeping your entire body steady for additional control. This exercise is called the monster walk, don't worry it's not scary. Instead of using a box, you won't need to use any equipment at all. To perform this exercise, begin by standing upright. Pick your right leg up and step out as far as you can go, falling into a lunge. 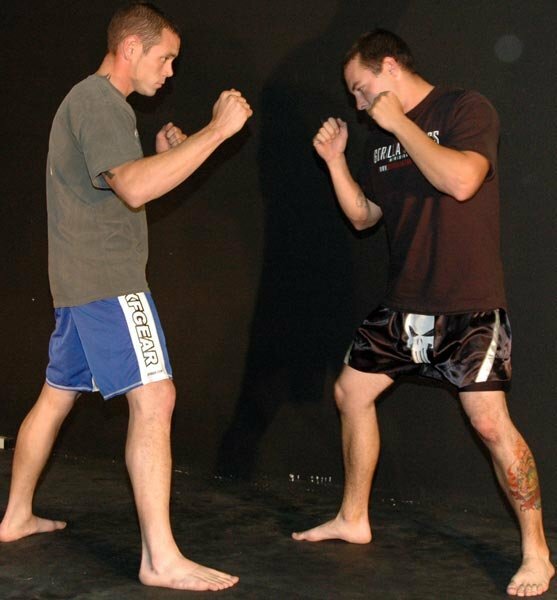 As you fall into a lunge, grab your right knee with your left hand. You should feel a nice deep stretch if done correctly. This exercise helps increase balance, flexibility and mobility. Continue walking and alternating legs as you go. When you get familiar with this movement, simply attempt to reach for the foot instead of the knee for an even deeper stretch. This is also a good exercise to strengthen your thighs and improve endurance. Adanced Balance Exercise 4: Monster Walk. This exercise is called the walk-up; it is commonly used in basketball training to improve balance and inner core strength. To perform this exercise, start in the push-up position. Attempt walking your feet up to your hands while keeping your palms steady on the floor. Walk up until you can walk up no more. Keep that position for at least 3-5 seconds. Finish by walking your hands outwards to straighten your entire body. Tip: Keep your stomach drawn in and your glutes tight for full benefits. This exercise improves lower body balance and flexibility. Adanced Balance Exercise 5: Walk Up. The exercises on this article are appropriate for all ages, although modifications are needed for each individual. If you are tying these exercises for the first time, make sure you start with the very basics at the top. When you get more balanced, try the more advanced exercises on this article from descending order. Tip: Always start with your weaker non-dominate side first when performing any exercises. 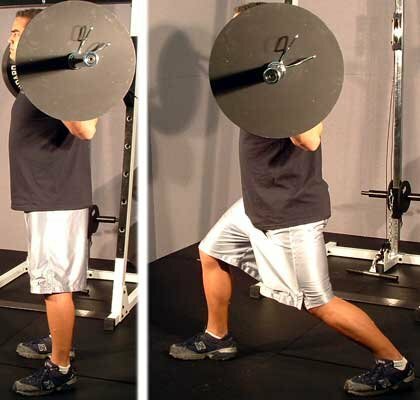 For instance, if you are doing one legged squats, start with your weaker side first. Count the number of reps you were able to do and do the same amount of reps with the stronger more dominate side. By doing so, you are forcing your body to grow symmetrically. As your balance skills improve over time, start to use variations such as weights. You should work on your balance everyday or whenever you get a chance to. Incorporate some balance exercises with your daily routine at the gym so you don't have to go to the gym twice. It doesn't even take that much time. Simply perform exercises one arm/leg at a time. For instance, military press the 35 pounds dumbbells with your right arm for 12 reps and then do 12 reps for your left arm, alternating between arms. Be aware of overtraining! Improve The Neuromuscular System To Avoid Injury. If you're a runner, you should know what a strained ankle feels like. You should know about the pain that it causes. What if you could avoid that injury and other common injuries that runners often endure? Studies show that balance is the reason why runners and other athletes suffer from strained ankles. Think about it, if you're running on an uneven bumpy terrain, you'll be sure to get strained ankles. The body must change its center of gravity (balance) in order to compensate for any change in terrain. The term proprioception refers to a sense of joint position. Proprioception is the training that injured athletes go through but this method can just as easily be used by perfectly healthy athletes who want to avoid injuries. Improved Balance Increases Your Movement Speed And Effectiveness On The Court. We all know that movement speed is very important in basketball. Whether you are defending or being defended, you need to be quick. The reason why people get crossover in basketball is because they lose their balance. When you have the balance to control your center of mass, you will have the ability to change both speed and direction with greater precision. Improved Balance Helps You Jump Higher. Who doesn't want to jump higher? Vertical leaps are important in sports, especially basketball. Think about what would happen if you could play above the rim. You could slam dunk, shoot over your defender and block shots that are almost impossible to reach. Now, how does balance affect my leaps? Well, let me explain the series of steps our body goes through in order to jump. First, we bend our knees to the direction opposite to the jump, which is going to be downward to gather the energy required for the leap. The energy is then converted to kinetic energy as the jump progresses. In-between loading and exploding, our balance comes into factor. The better balance the athlete has, the more stability he has. The more stability he has, the bigger force he harnesses for the actual jump. Get it? If you play tennis or football, then you should know the importance of agility. Agility is the ability to change the center of gravity to your liking. A tennis player might hit the ball right, then left, then right, then left, then right, then left and then left again. Once this happens, you better prepare to stop right away and change directions quick! A football player might fake spin left and then go right. The defender must be ready to change his center of gravity without falling. To do so, he needs agility. In order to have agility, he needs to improve his balance. If you go to the gym everyday doing the same routine, you'll feel bored. You switch barbells to dumbbells and dumbbells to cables like they told you to, but you're still bored at the gym. Maybe it's time you do something new, without the weights. "What can I do without weights?" Well, you could always use the exercise ball and/or medicine ball. Try tossing the medicine ball around with your workout partner for a simple game of catch, it's really fun and you burn quite a bit of calories. "How does this help my balance?" Well, try tossing the medicine ball while only standing on one leg. It's really fun once you have the hang of it. 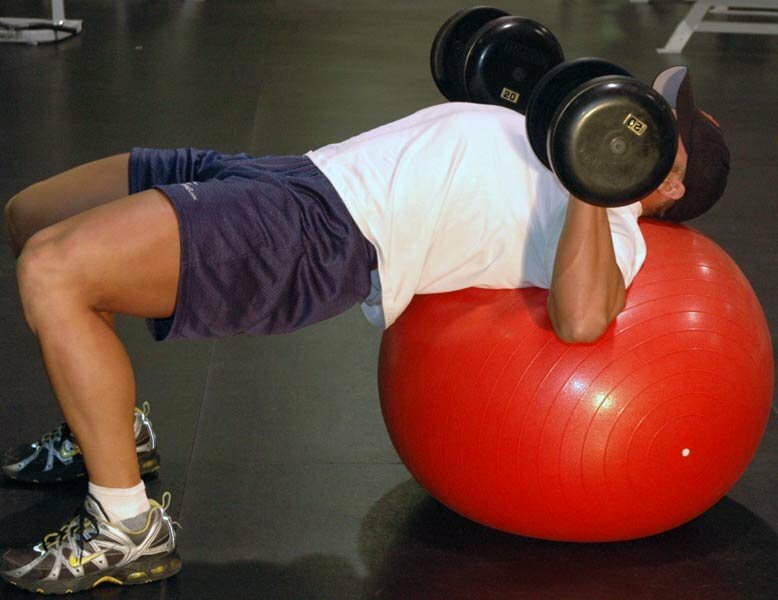 Tip: Instead of doing those crunches on the floor, try doing it on the exercise ball. By doing so, you are improving your balance while strengthen your abs. It's a really fun break from those regular boring crunches. By improving our balance, we also gain better form during our workouts. For instance, if I wanted to bench the 100-pound dumbbells without good balance, I will twist and turn trying to get the weight up which ultimately will lead to a serious injury. However, if I had good balance, I would keep my entire body steady and stimulate my chest, triceps and shoulders only in the lift. Injury is likely to occur for the elderly. Older people tend to have weaker joints/bones than the younger people and therefore fall more often. Since their bones are fragile, these small falls can cause severe injury. However, these accidents are easy to avoid. Simply go for a jog or a simple 30-minute walk outside to enjoy nature and to improve balance. In a way, this is similar to the point I had on top. By having good balance, one develops good posture. By having good posture, his/her entire body would be aligned correctly and therefore will have a lesser risk of injury than a person with bad balance. Also, the person with a bad posture will be more likely to fall down as a result of his bad posture and have a serious injury. Increased Inner Strength, Flexibility And Core Strength. Normal people might not put balance on top of their priority list like athletes do, but they should. Balance is often referred to as inner strength, flexibility or core strength. Those are all things that are essential for our bodies. Unfortunately, many of us do not exercise our inner strength as often as we should. If you workout regularly by either doing weights or cardio, you are already training your balance without evening knowing it. However, you can always train your balance more by doing other exercises specially aimed towards increasing balance. Perform unilateral exercises. This means that you would work only one arm/leg at a time. 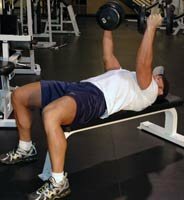 Instead of doing barbell curls for 12 reps; perform 12 reps of dumbbell curl for the right arm and 12 more for the left arm. 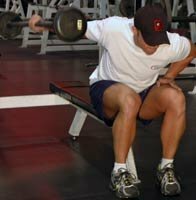 You could also try doing those dumbbell curls on only one leg. While watching television, sit on an exercise ball instead of a chair. By doing so, you are improving your balance and burning more calories than you would by sitting on a chair. Here's an old classic - Walk around with a book on your head. This exercise will improve both your balance and your posture. Join a yoga class. You'll be amazed on how fast it will improve your balance, stability, flexibility and muscular endurance. I work on my balance every time I go to the gym, which is about six days a week. Balance is very important for me because I often play basketball. Every basketball player needs agility, stamina and especially balance. Without those qualities, you won't score a lot of points in the game. Balance is absolutely essential when you are defending, crossing your opponent, dribbling ... Enough talk, go do some yoga! Thank you for reading my article and I hope you have learned a thing or two. Balance is extremely important for athletes. Most of the popular and competitive sports require some form of balance, therefore it is crucial to develop this skill. If balance is not up to par, your sport performance will suffer. Can you imagine a martial artist who can't even balance when throwing a kick? That would be a disaster! Through practicing your sport balance can be achieved, but however your weight routine can also do this for you. By changing the exercises balance can be achieved faster. In addition there are virtually non impact ways of improving balance that can be done anytime. First of all you have to know how balance works. There is one misconception which is that you have stabilizer muscles that are specifically designed for balance. This is totally untrue. Balance is like muscle memory, and the muscle has to develop it. If you train your balance, your muscles "Learn" to become more efficient in stabilizing itself. Another thing that people don't realize is that incorporating balance exercises into ones weight program can be a great way to prevent a plateau. A plateau is basically when your body adapts to a workout, exercises, rep range, etc. and as a result your progress slopes off. By putting balance exercises into your workouts, your body is introduced to a new kind of stress, which prevents your body from going into a plateau. This is actually quite a simple question. Right now you might be scratching your head but think about it. Will changing rest times, reps or sets do anything to assist balance? No. If your talking about in the weight room there is only one way to do this, which is by changing the exercises. Certain exercises work on the stability of the muscles more than others. For example if you did machine bench press, the weight is already stabilized for you, therefore hardly any balance is required. 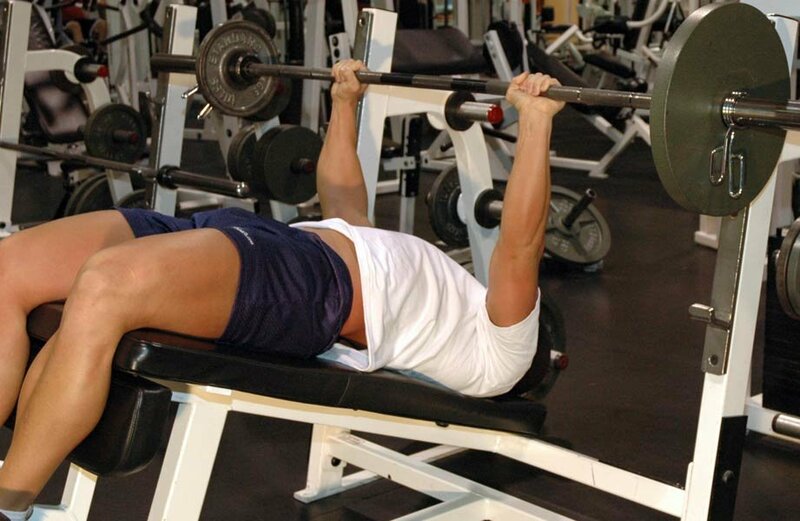 However if you do bench press with a barbell or dumbbells your muscles have to work harder to stabilize the weight and it will develop balance in your muscles. Next thing is, even though your changing the exercises to better your balance, you still want to keep it as close to your original workout as possible. By this I mean you should keep around the same sets, reps, rest times, workout split etc. There's no point in changing up all your repetitions and sets, that would just set you back in your sport even if you do achieve balance. However since this is a bodybuilding website, I will make the workout like a bodybuilding workout. If you have different goals in mind, then you have to change the sets, reps, rest times while keeping the same exercises. Decline Barbell Chest Press With 50% More Weight On One Side. 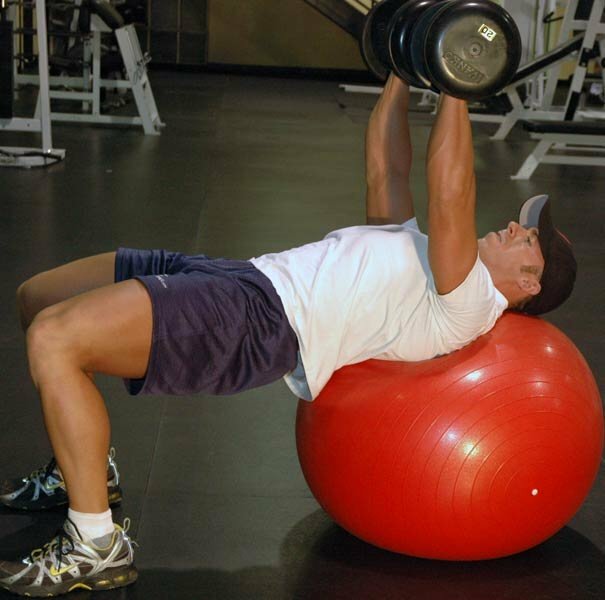 Dumbbell Chest Press On Exercise Ball. 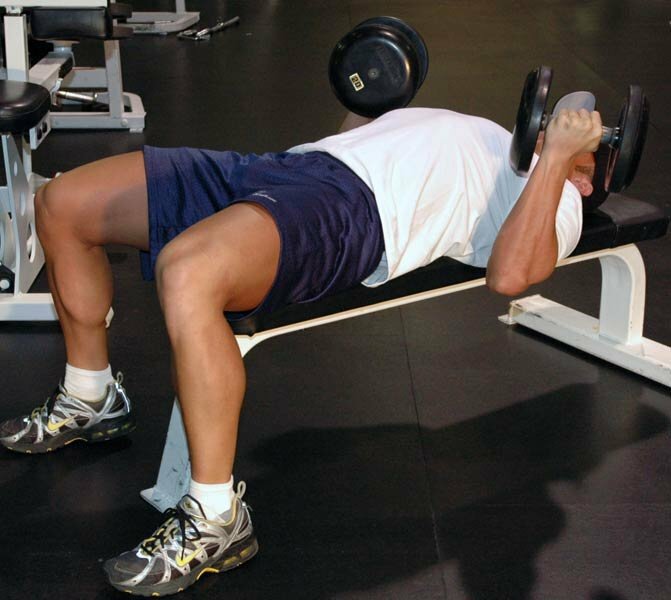 Reverse Triceps Dumbbell Bench Press. 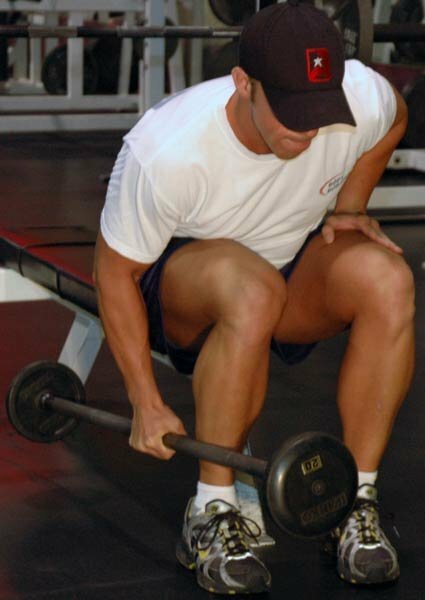 Barbell Curl Using Uneven Grip. One Arm Barbell Lateral Raises. 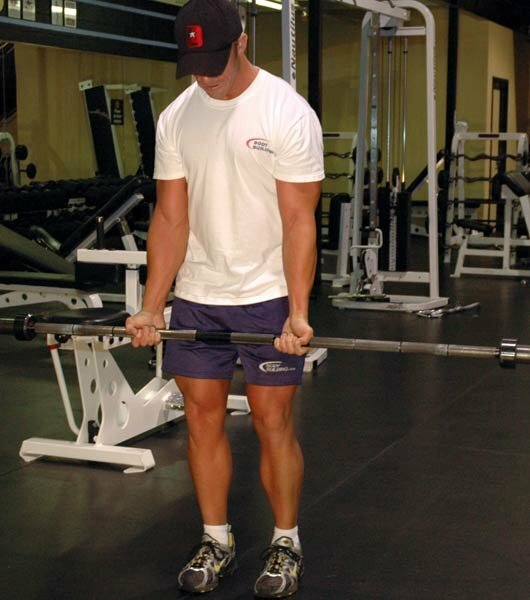 Bent Over Lateral Raises With Barbell. Palms Up Barbell Wrist Curl With One Arm. Palms Down Barbell Wrist Curl With One Arm. Behind The Back Barbell Wrist Curl With One Arm. Click Here For A Printable Log Of Sunday. Rest times differ for each person. If you're a bodybuilder or someone going for endurance go for 30-60 seconds of rest. If you're going for strength rest 2-3 minutes. If you're an athlete determine if your sport is more strength or endurance oriented and decide your rest times from there. Outside the weight room you should have balance workouts. These however should be low impact and of medium to low intensity so it does not affect your recovery too much. These mini balance workouts can be done 2-3 times a week since they are low intensity. They should also be done for at least 10-20 minutes. If you want to go longer that's fine. To practice balance outside the weight room you should use equipment such as BOSU balls, exercise balls and wobble/balance boards. For your lower body you try to stabilize on the equipment. For example trying to stand on the wobble board without falling off. For the upper body you can do hand stands and when you get good enough do them on the exercise ball. Don't always use the same exercises since your body can adapt to them too. You always want to change the exercise so that your body is always being challenged and therefore won't plateau. The balance workouts using weights should be done anywhere from 1 - 5 times a week. They could be mixed in with sports, other workouts or cardio. I would recommend working out each muscle group once a week. Most weight lifting programs require that you only work each muscle once a week, so there's no sense in increasing the frequency only to burnout. Plus you have the non-weight-balance workouts which will be help with balance as well. For the balance workouts not requiring weight they should be done 2-3 times a week. They are pretty much short and low intensity so therefore they can be done more frequently. As you get more advanced you can shoot for more times a week (say 4-5 times a week). It also depends on your sport. If you're in gymnastics you better be training balance a couple times a week. However if your in football there's no point in training balance every day, you should spend your time doing something else in that case. Balance is extremely important for sports since it improves performance. If you're unstable the whole time you're playing your sport, then you can't concentrate on throwing a good kick or making a good shot. Your main focus is not losing balance. In martial arts wouldn't it be easier to focus on a fast powerful kick if you're stable? If your wobbling around it's not possible that you can throw a fast powerful kick since your main focus is on stabilization. The basic goal is to get your balance to a level where it's second nature, that way you can totally focus on other aspects of your sport, which lets you improve at a faster pace. Another thing is that it is one way of switching everything up, even for bodybuilders. 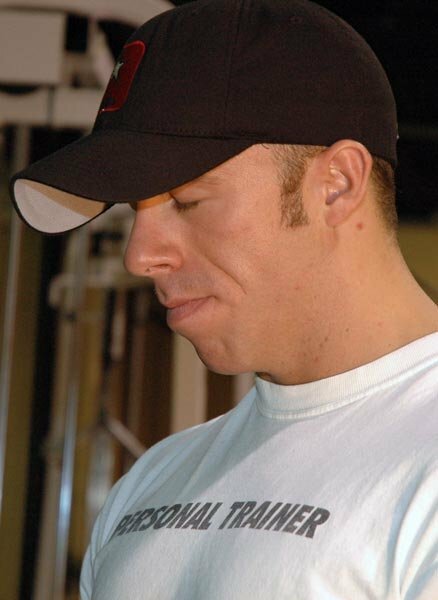 A bodybuilder should always use new techniques so that they don't plateau. For example for one month they might do explosive sets to change it up so they are always challenging their body. If they keep doing the same old thing then their body adapts to that and progress goes down. I can guarantee 99.99% of the bodybuilders who read this would have never done an all balance workout like the one listed above. Therefore attempting this sort of workout will be a great way to shock your body (In a good way of course). When I used to play badminton I worked on balance a bit, at least 2-3 times per week using non-impact exercises. Balance was important because a lot of the times during badminton you have to lunge and really stretch out your legs. You had to have good balance because you have to be ready for shots in all corners and the sides. Also balance was key in making shots near the back of the court since a lot of the times your on one foot. If you were unstable then you couldn't possible make a good shot. Ever since I quit badminton I haven't worked on balance too often. However, I do try to add in some exercises in my workouts that improves balance. Like I said above it's a good way of challenging your body so it doesn't plateau and also it helps in other lifts as well. My workouts aren't exclusively for balance, but I'll throw in a few exercises that work on balance such as one arm dumbbell presses or 1-legged squats.